A home inspector’s job is to evaluate the soundness and safety of a house before it’s purchased or while it’s being built or remodeled. To be competent at their jobs, inspectors need to understand the basics of foundations, structures and a home’s plumbing, electrical, heating and cooling systems. Home inspection was an occupation once dominated by men. Today, many women are entering the field. It’s true that many home inspectors enter the profession with backgrounds as general contractors, electricians, plumbers, roofers and other trades related to the construction industry. 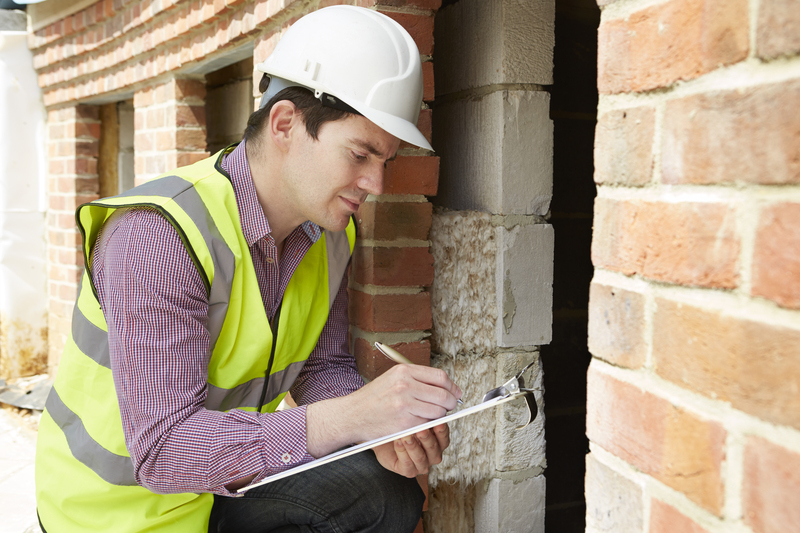 Some inspectors have also worked as architects, engineers, real estate agents or appraisers. Having experience in a particular trade doesn’t necessarily give an individual an advantage in inspecting components of a home that are related to other skills. As an example, 15 years working as a plumber doesn’t necessarily give the inspector an advantage in evaluating electrical systems. Twenty years as a framing contractor doesn’t mean the person has an edge over other inspectors in finding plumbing leaks. Extensive knowledge in one area sometimes creates a bias or imbalance in assessing a home’s other components. What About a Background in an Unrelated Field? Everyone knows at least something about houses. A background or experience working in building and construction-related fields isn’t necessary to become a successful home inspector. A basic understanding of how homes are built, the way in which the various systems are installed and how they operate are obviously helpful for working as a home inspector. As with most things in life, however, at the end of the day success comes down to determination and hard work. A lack of construction knowledge, building industry or real estate experience shouldn’t deter you from pursuing a career as a professional home inspector. People from all walks of life with little or no construction experience have successfully transitioned into the home inspection business. Sometimes the most well rounded home inspectors are those who start from zero, learning the systems and inspection techniques from the ground up through formal instruction, training videos and continuing education classes. The key to a successful start is receiving the right training. Even those with extensive construction and building systems knowledge or direct industry experience may still need to pass a comprehensive licensing exam. Regardless of their occupational backgrounds, would-be inspectors in most states are required to be trained and certified by an approved home inspection school before they can legally conduct inspections. Some states also require passing either the National Association of Home Inspectors (NAHI) Certified Real Estate Inspector Exam or a state-approved test. Others require inspectors to take annual or semiannual continuing education courses as a condition of renewing their home inspectors’ licenses. Make sure to check the requirements in your state. Much of what you need to know will be covered in your home inspector training classes. The rest of your knowledge will come from hands-on experience conducting actual home inspections in the field after receiving your certification. That’s why, before deciding on the school where you’ll receive your instruction, it’s important to find out whether lifetime free refresher training and ongoing technical assistance are included in their program. Ready access to professional assistance on an “as needed” basis will allow you to keep up with ever-changing building codes, governmental regulations, new types of building materials and inspection industry trends and techniques. Are the instructors certified home inspection professionals with field experience? Is free technical support available if you have questions or need help while conducting an inspection? Is the school affiliated with professional organizations like the American Society of Home Inspectors (ASHI) and/or the International Association of Certified Home Inspectors (InterNACHI)? Are all training materials available online? Is there a time limit or does the program allow students to study and complete the training at their own pace? Are additional certifications such as mold and radon inspection included in the tuition? Are up-to-date training and reference materials readily available online? Does the tuition include software for generating inspection reports from digital devices? Is training to inspect commercial properties included in the program? If a licensing exam is required in your state, don’t merely assume that your building industry experience and extensive knowledge will automatically let you succeed in passing the exam(s), nor does it mean you will succeed as a home inspector. Licensing tests are meant to protect the public from unqualified or unscrupulous inspectors, so it’s by design that the subject matter is comprehensive. Regardless of your present occupation, if a career as a professional home inspector interests you, training with Inspection Certification Associates is an easy, convenient and affordable means of receiving your home inspection certification. Enrollment in ICA’s Real Estate Inspection Certification Program costs just $695, and includes everything you’ll need to get started. Enroll today and you can be on your way to an exciting and rewarding new career in just a few short weeks!